The NVIDIA GTX770 has had a luke warm reception by all accounts. Based on the older GTX680 rather than the ground breaking GTX TITAN/GTX 780, many look upon the GTX770 as a simple refresh. To be fair, that is not far from the truth but NVIDIA have not simply raised the clockspeeds and have done with it. Improved power delivery, memory overclocking and GPU Boost 2.0 make the GTX770 quite a formidable GPU. There are however few reference designs available with NVIDIA giving their board partners free reign to add their own modifications. Some chose simply to bolt on a custom cooling design to the reference PCB. Others added to the modifications by redesigned the PCB. 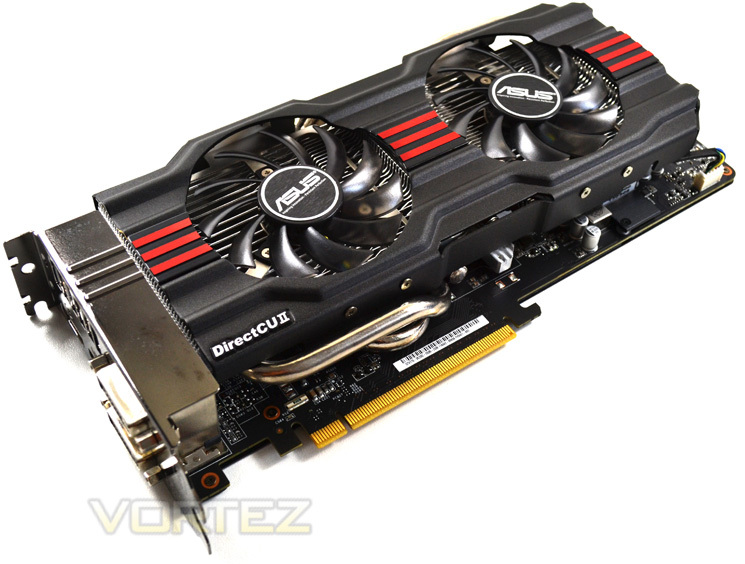 The ASUS GTX 770 DirectCU II OC is one such example. With temperature control being very important when overclocking via GPU BOOST 2.0, the ASUS card is duly equipped with with the latest incarnation of Direct CU cooling. For those not already aware the DirectCU II cooling design is held in very high regard by the media and enthusiasts alike thanks to both performance and acoustics. The card also comes pre-overclocked from the factory and should you wish to dabble yourself, this version of the GTX 770 has a 10 phase power design for stable power delivery complete with DIGI+ power regulation. For the serious overclockers, the card also has voltage read points and identified solder points for voltage hot wiring. So whichever your preference, the ASUS card appears to suit all tastes.